The Haines City Water Control District (the District) was originally created as the Haines City Drainage District No. 1, Laws of Florida, Chapters 13649 (1929) and 14517 (1929). Currently, the District operates as an independent special district under Chapter 2004-402, Laws of Florida, and under Chapters 189 and 298, Florida Statutes. The Haines City Water Control District was created for the purposes of maintaining a drainage ditch that meanders in a southerly direction on both the east and west side of U.S. Highway 27 that is located within a defined geographic area lying generally on the western side of the corporate limits of Haines City, Florida, and Polk County. NOTICE OF HEARING TO CONSIDER UPDATE OF THE WATER CONTROL PLAN AND TO LEVY AND PROVIDE FOR COLLECTION OF ANNUAL NON-AD VALOREM SPECIAL ASSESSMENTS TO FUND COSTS ASSOCIATED WITH WATER CONTROL AND ACTIONS TO MAKE LANDS WITHIN THE DISTRICT AVAILABLE AND HABITABLE FOR SETTLEMENT AND AGRICULTURE. The District gives notice that on Tuesday, July 17, 2018, at 5:00 p.m. the Board of Supervisors held a PUBLIC HEARING in the City Commission Chambers at City Hall, 620 East Main Street, Haines City, Florida, for the purpose of receiving comments on the District’s proposed water control plan and non-ad valorem assessments. The District gives notice that is necessary to prepare and consider an updated water control plan and to adopt an increase in non-ad valorem assessments to achieve financial sustainability in the annual budget process by levying such assessments to provide adequate revenues to pay for annual operating and capital costs associated with its required water control planning process, and to create necessary and reasonable reserves. The District water control plan and assessments are for the purpose of comprehensive water management and control toward development of lands within the District, and managing water by means of canals, ditches, levees, dikes, pumping, and other water control works and improvements toward making the lands within the District available and habitable for settlement and agriculture, for the public convenience, welfare, utility and benefit, and other purposes as provided by chapter 298, Florida Statutes, and other applicable law. Click here to view a proposed list of affected parcels and the dollar amount attributed to each affected tax parcel in the District and other information concerning the proposed non-ad valorem assessment. 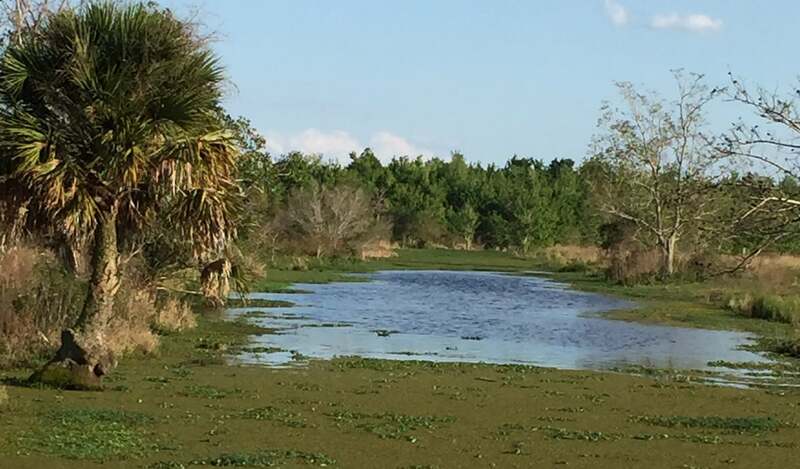 Owners of land situated within the Haines City Water Control District are hereby notified that the April meeting of the Haines City Water Control District will be held on Tuesday, April 9, 2019, at 5:00 p.m., or as soon thereafter as may be heard, in the Lobby of the Haines City Public Library, 111 North 6th Street, Haines City, Florida. At any meeting of the Haines City Water Control District any person, his/her agent, or attorney may appear and be heard. Any person desiring to appeal any decision made by the Haines City Water Control District with respect to any matter considered at the a meeting or hearing will need a record of proceedings and that for any such purpose may need to ensure that a verbatim record of the proceedings is made, which record includes the testimony and evidence upon which the appeal is to be based (FS 286.0150). In accordance with the American with Disabilities Act and F.S.S. 286.26, persons with disabilities needing special accommodation to participate in any proceeding should contact the secretary prior to the proceeding at 863-221-2516 for assistance. If hearing impaired, telephone the Florida Relay Service numbers 1-800-955-8771 (TDD) or 1-800-955-8770 (VOICE) for assistance. Learn more about who we are, and the area we serve. Disclaimer: Under Florida law, e-mail addresses are public records. If you do not want your e-mail address released in response to a public records request, do not send electronic mail to this entity. Instead, contact the Haines City Water Control District either by phone at 863-221-2516 or by mail to Linda Robinson, Secretary, Haines City Water Control District, c/o Post Office Box 1257, Davenport, Florida 33836. © 2018 The Haines City Water Control District. All Rights Reserved.